UK-based Apeks Marine Equipment began manufacturing in thge mid-1970s with one goal — to make the best diving equipment in the world. Their strengths in design, development and engineering craftsmanship produce dive equipment of such a high standard that they are now the benchmark standard other manufacturers strive for. 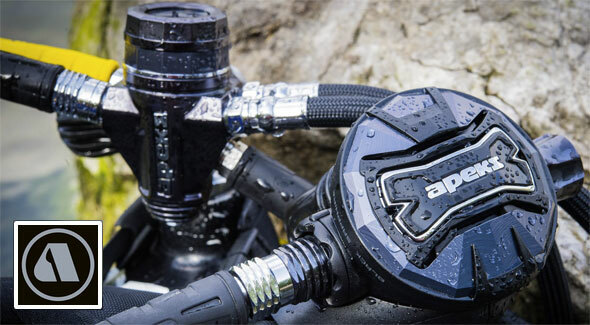 The full range of Apeks dive equipment, which now includes regulators, wings, instruments and accessories, has been adopted by technical divers around the world. Apeks equipment is being used to explore some of the deepest, coldest and most advanced dive environments on earth. Because when the environment demands, only one thing matters; that your dive kit is designed, developed and tested to keep you safe and comfortable.